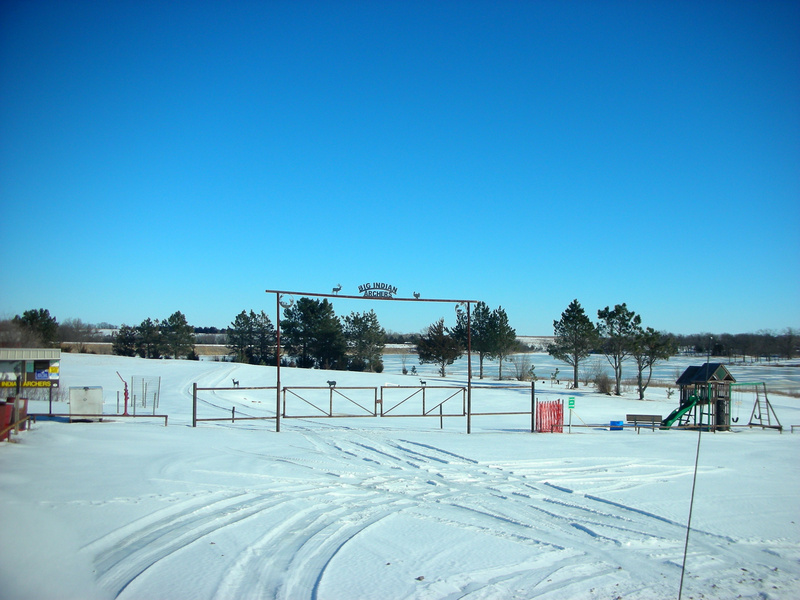 Welcome to the "Watershed Capital of Nebraska"
The ten recreation areas managed by the Lower Big Blue NRD have opened for the year with limited services, to provide better access for anglers. The NRD will not maintain roads, provide electric service for camping pads or provide garbage service until later in the spring, weather permitting. Walnut Creek Recreation Area, located northeast of Crete, Swanton Wildlife Management Area, located north of Swanton, Willard L. Meyer (Swan Lake) Recreation Area, located east of Tobias, and Big Indian Recreation Area, located southwest of Wymore had been closed to vehicle access for the winter months. The Lower Big Blue NRD also has a brochure available which highlights the NRD recreation locations. 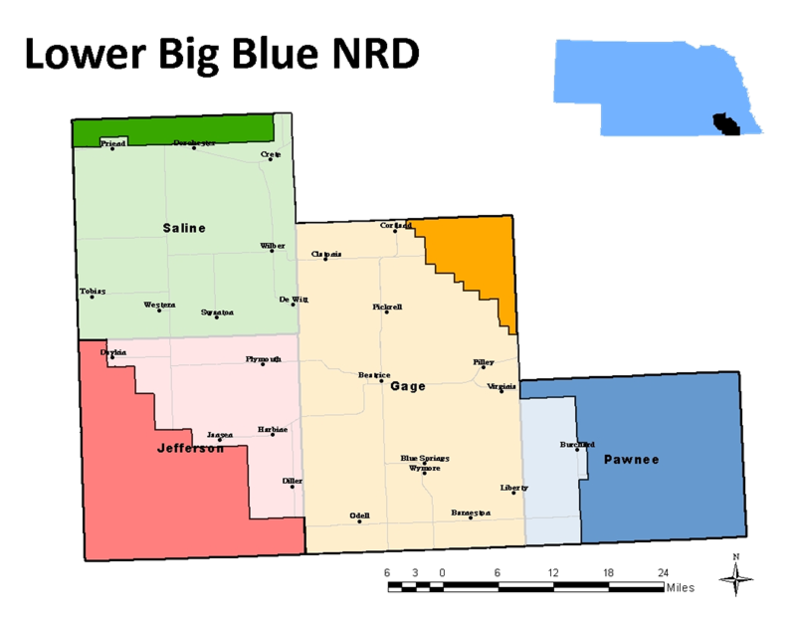 The brochure contains detailed information on each area, including charts indicating availability of fishing, hunting, boating, camping, picnic shelters, and much more. Stop by the Lower Big Blue NRD for a FREE brochure! The Lower Big Blue Natural Resources District has considered and utilized various methods and products for combating the problems that often accompany aging dams over the years. Very often, the culprit is oxidation, particularly on structures which employ a corrugated metal pipe (CMP) for the principal spillway. Generally, over the life of a dam, a CMP will begin to develop rust on the bottom side of the tube. Given enough time, pin holes may develop which ultimately turn into larger holes, and invariably, voids can begin to form under the principal spillway causing undercutting and potentially failure of the dam to function properly. The past couple years, the NRD has been in the process of installing Snap-TiteTM High-Density Polyethylene (HDPE) pipe in many of its structures. As the name implies, the pipe snap together around a gasket, and can be fused to a new riser once inserted into the existing tube. Ventilation and grout pipe are installed alongside the new tube for efficiently injecting grout into the annular space which remains. This creates a solid bond between old CMP and new HDPE, extending the life of the structure well into the future. The HDPE is able to be of smaller diameter due to the difference in hydrology between smooth-walled pipe (the HDPE) and the CMP, or existing pipe. The process usually takes about a week and saves quite a bit of time and money. 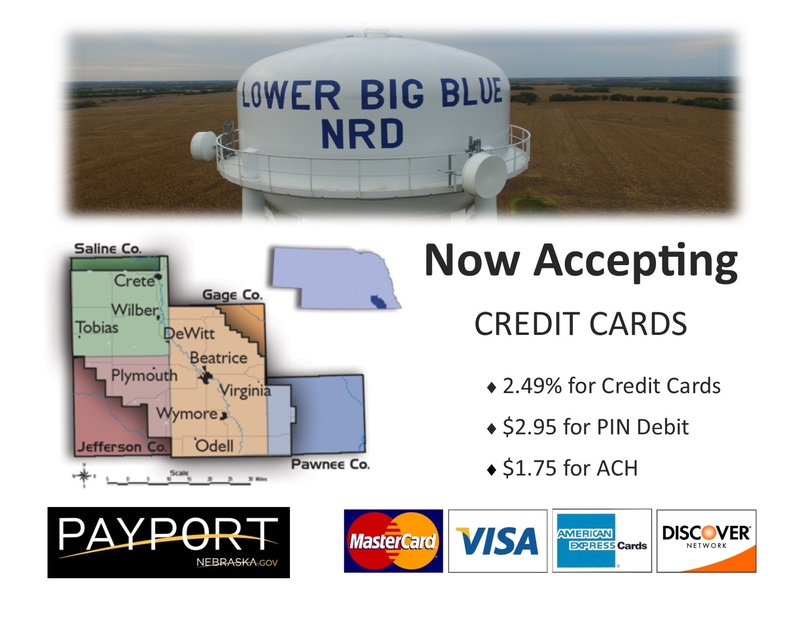 The NRD is now accepting credit cards in the office and online! Visit the "PAYMENTS" tab above to pay your bill. Greetings from the Department of Agricultural Economics at the University of Nebraska-Lincoln (UNL). We are looking for producers to participate in a research study titled Nebraska Producers’ Responses to Farm Bill Programs. If you are a crop producer 19 years of age or older, and interested in participating, please Register at the link below. The research will be conducted during Nebraska Extension sponsored Crop Production Clinics in January of 2019. If you have questions about the research project, please feel free to contact Simanti Banerjee, faculty at the Department of Agricultural Economics at any time via my email (simanti.banerjee@unl.edu). The study will not last more than two hours and you will be paid a compensation of up to $100 for your time. Participation in this study is voluntary and all information collected is confidential and anonymous. You can withdraw your registration at any time without harming your relationship with UNL or the organizers of the Crop Production Clinics. NuStar Energy conducted a spill containment training at Big Indian Recreation Area. The location simulated a river crossing which allowed workers to practice with their equipment in the event of a spill.